Given the lack of buzz circulating around the Internet, it’s hard to believe the Octagon is hosting back-to-back shows this weekend. Good thing the Gambling Gods know just the trick to spice things up. “UFC on FX: Maynard vs. Guida” takes place Friday inside Revel in Atlantic City, New Jersey. 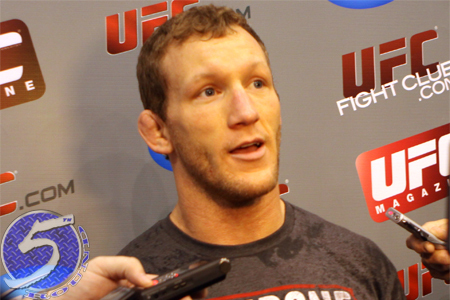 Former lightweight top contender Gray Maynard (Pictured) headlines the festivities opposite Clay Guida. Maynard is a heavy 3.5-to-1 odds-on favorite to hand Guida his second straight loss. “The Carpenter,” meanwhile, checks in as a 2.5-to-1 underdog. FX will broadcast the main card live beginning at 9PM ET/6PM PT.